Alas Dresslink has equipped me with a blouse that has a modern take on feminine camouflage. 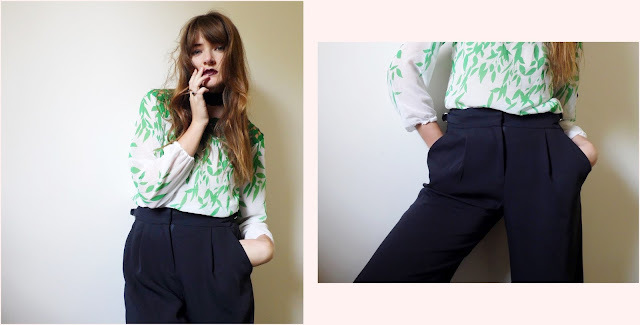 With its green patterned leaves on a white chiffon canvas I gave this blouse a stylish look by pairing it with a high waisted pant, I would avoid any form of plants in the working space to dismiss the chance of blending in to much with you're natural surroundings. Or paired with a loose fitted jean to give a more casual approach, it proves that this piece of camouflage is definitely versatile in style, and I must add, immensely comfortable to wear!